All those persistent wood watches ads all over the internet has probably gotten you curious enough to finally look them up. However, if you Google wood watches, the results would just give you online shops and stores that sell these wooden timepieces, offering no real information on them. In this article, we will give you the easy and simple but complete 101 on wood watches. Boasting excellent craftsmanship and original design, here is the promised list of gorgeous wood watches for everyone! Flaunting an all-natural look, the Cinnamon Ebony Adjustable Bamboo Wristwatch is made from authentic bamboo, making it an extremely flexible choice for both men and women. The neutral color of this wood watch makes it perfect for a casual day. Nothing says fresh like the color green. 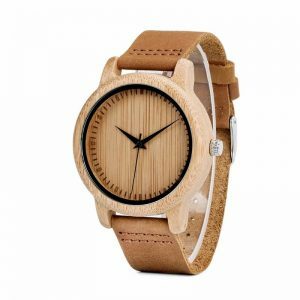 With the moss hue amplifying the natural bamboo wood material, this watch is perfect for all environmental advocates. The moss of this watch completes the outfit of anyone who loves the rejuvenating color as well. Flaunting happy colors, this eco-friendly watch can easily redefine style. The premium bamboo used in creating it makes it a definite collector’s item. “Less is more” is what this wooden watch is all about. Dare to be different with this Octagon Bamboo Watch. What sets this watch apart from others is the resilient leather bands that accentuate the wrist of the wearer. Intricate wooden links hold the Summer Solstice wood watch together. Handmade by professionals, this watch features the quarter numbers of the traditional clock. Travel like Gulliver with this watch that is overflowing with a unique style. The deep brown color of the leather bands amazingly creates a sophisticated look with the mechanical design as the backdrop. A true-blue must-have, this wooden watch gives off calming vibes with its almost cerulean azure of the skies on a beautiful day. Made for a comfortable fit, the soft and comfortable leather bands of this authentic bamboo wood watch create a very laid-back appeal that is perfect for a casual day. Sleek and majestic, the Timberberry Luxury Bamboo wood watch is the epitome of masculine prowess. The mysterious dark tones of the watch add a layer of an enigma to your style. Zen in green, the sage-colored watch was created by experts with the use of nothing but precise talent and fine-quality bamboo wood. Mimicking the grand magnificence of the stag, this bamboo watch is a perfect addition to your wood watches collection. Two-toned and in the zone, the Bamboo Blooms Handmade Wooden Watch is a limited edition accessory for men. Modern and unique, each hole in this wood watch represent the numbers in the traditional ones. 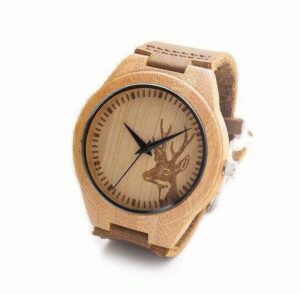 Exude the grace of the deer with this bamboo wood watch. The all-natural appeal of this watch makes it a great gift for friends and family. Digital and hexagonal, this watch is a sneak peak to the ultimate combination of an all-natural dystopian future. Vibrant in orange, the popping orange tones of the silicone bands will shine like a beacon in any outfit. Ethnic and authentic, let the totems and the symbolism of the geometric triangles and diamonds take you to a spiritual healing journey like how prayer beads do. On a whole other level, the holes of this wood watch replaced the usual numbers and lines. Awe anyone with this unexpected combination of tech and natural wood watch with its digital orientation and natural wooded setting. You’re asking yourself why should you choose a wooden watch over a luxurious gold Rolex, an epitome of class that is Maîtres du Temps, a casually elegant Fossil, or an unbelievably stunning Tag Heuer. First of, the price, of course. All these luxury brands do make watches that can stand the test of time and their designs are indeed jaw-dropping. Each sleek like and spark of crystal screams affluence easily. However, not everyone can afford these watches. Probably only 20%, or less, of the world’s population would shell out hundreds and thousands of dollars for a men’s watch. Wood watches, on the other hand, are very affordable. 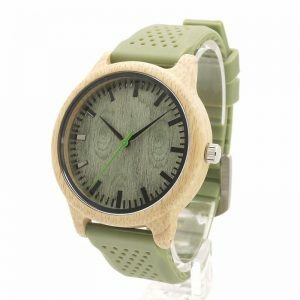 Since they are made from recycled wood, the initial cost of materials used played a large part in determining the price range of these beautiful wood watches. The price of wood watches can be as low as $20 up to a few dollars short of $500. The pricing generally depends on the complexity of the design, types of wood used, and the rest of the materials involved. Having said all of these, you now have a clear idea in your head of which type of wooden watch would be best for you. To further help you in your decision, here are the pros and cons of wood watches. Wood watches are eco-friendly. This means that the materials used in creating these absolutely gorgeous timepieces and the watches themselves will not hurt the environment in any way. Wood watches are extremely affordable. As compared to the prices of other watches, the price range for these watches is very budget-friendly. Wood watches have a unique look. Because the material itself is different, the aesthetic appeal of these wood watches makes them head-turners in the truest sense. Wood watches are hypoallergenic. If you have sensitive skin or allergic to certain types of metals, then wooden watches are perfect for you. Wood watches are lightweight. Stainless steel watches have a considerable weight as compared to these watches because wood is much lighter than steel. No more bad smell. If you are acidic or just a sweaty person in general, then we wood watches are great news for you. The weird smell that your watches have when you use leather or silicone-banded watches will be a thing of the past with their wooden counterparts. Although wood is less expensive than other materials, some manufacturers just can’t be bothered to use genuine wood. In lieu of the real proper wood material, they use faux wood – a plastic material that is much cheaper than real wood. Sometimes, wood watches can break or chip. The initial reason why people love watches in metal is that they can never break. They are not sports watches. Some watches are made specifically for people who are active. However, wood watches aren’t. They cannot withstand the impact of doing rigorous exercises. Since wood is a natural resource, it can wither away. Insects and too much sunlight can harm the wood. Some people say that time is a social construct but basing on history, even our ancestors had shown immense interest in knowing the time of the day: *drumroll* sundial. Us humans, even animals, are biologically built to detect time with our body clock; we are in tune with nature’s inherent way of signaling time, night and day, seasons of the year, and more. Social construct or not, the inevitable rise of timepieces has been greatly influenced by our need to be productive and to keep track of the day. Along the same lines, the immemorial use of wood as a material in things that involve us humble humans has been around for centuries. Wood, being one of the most highly-accessible natural resources, is a logical choice for creating pieces of accessories. As opposed to other materials that involve digging up the earth and mining metals, the use of wood in the art milieu of jewelry making is indeed a breath of fresh air to all environmentally-aware fashionistas. The advent of the call for sustainably-sourced accessories paved the way for these wooden timepieces. The alarming state of our environment today caused the critical minds of jewelers to create jewelry that, doesn’t only look stellar and spectacular, but also ethically-made with sustainable and natural materials. Wood watches have started to create a buzz in the fashion industry that a number of watch brands have emerged specializing in wooden watches alone. Now that people are more aware and meticulous than ever, the competitive market of watches has given birth to exquisite wooden accessories that are already taking the world by storm. Before you purchase your first wood watches, we have compiled the things you need to know. Below are the characteristics of wood that should be taken into account. The biggest factor you have to consider is the wood used in the watches. Other parts of the watch like the dial, band, and case could all be made of wood. However, many wood watches come with stainless steel, glass, plastic, gold, and others. Wood Grain: This is the unique pattern visible on the surface of the wood. Generally, the six types, interlocked, diagonal, straight, wavy, spiral, and irregular- determine the pattern of the grain. The pattern of the grain adds beauty and character to your watch. Durability: Since wood is an all-natural material, things like pressure, force, insect damage can cause your wood watch to break. Creators counter these by using more durable wood and sometimes with top coats that dramatically increases resilience. Texture: Different types of wood have different textures. The texture of the wood is how it feels on touch. Some types of wood are very rough naturally. However, people who create the watches polish them for a smoother and more polished feel and look. Color: The color of the wood determines how the overall appearance of the watch will go. Darker shades tend to be more masculine in design which is best for both simple and intricate designs. The paler colors work well with more feminine designs and easily complements crystals and more colorful styles. Luster: Naturally speaking, lighter-colored wood types generally possess more luster and authentic sheen as compared to their darker-colored counterparts. The latter achieves greater luster by sanding, polishing and buffing as these can make wood radiate more natural sheen resulting in more luster. In our opinion. wood watches are a must-have. Outweighing the cons, the pros of these wood watches combine sustainable style and responsible fashion. 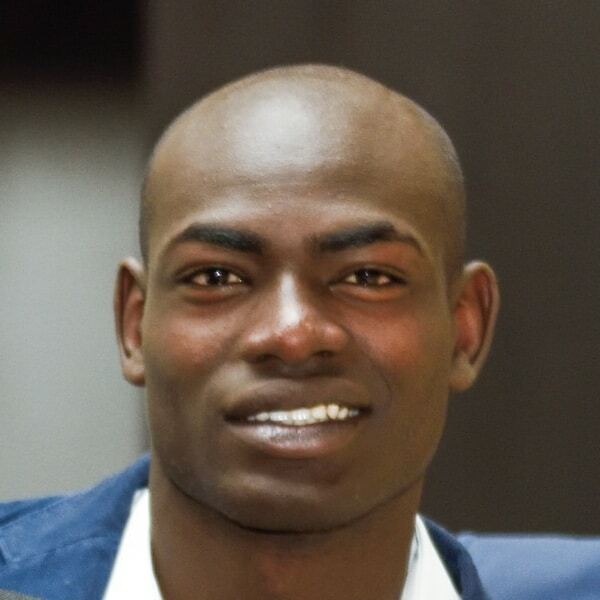 Styling for men and women may seem simple but it isn’t. Being at the receiving end of a lot of appraising eyes can be very daunting. With wood watches and their all-natural appeal on your wrist, you can be sure that you’d be getting a lot of positive attention from everyone. 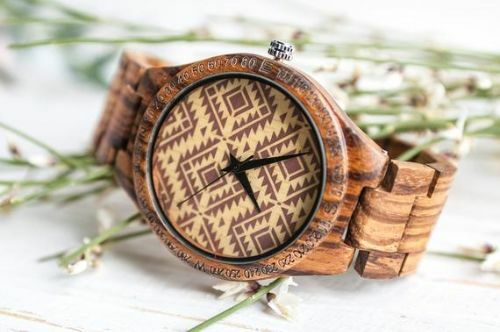 The unique look, the handcrafted appeal, the refreshing vibe, and the green-friendly materials all play a part in creating the one-of-kind aura of wood watches and more wood jewelry.